We ask all passengers to arrive at least 40 minutes before departure time. The trip over to Charity Island takes approximately 75 minutes. Check local weather conditions and bring along appropriate outer wear. Once on the Island there is a 1/4 mile walk (easy to moderate) up to the lighthouse where dinner is served. Please let us know if you need assistance, there is motorized transportation available. 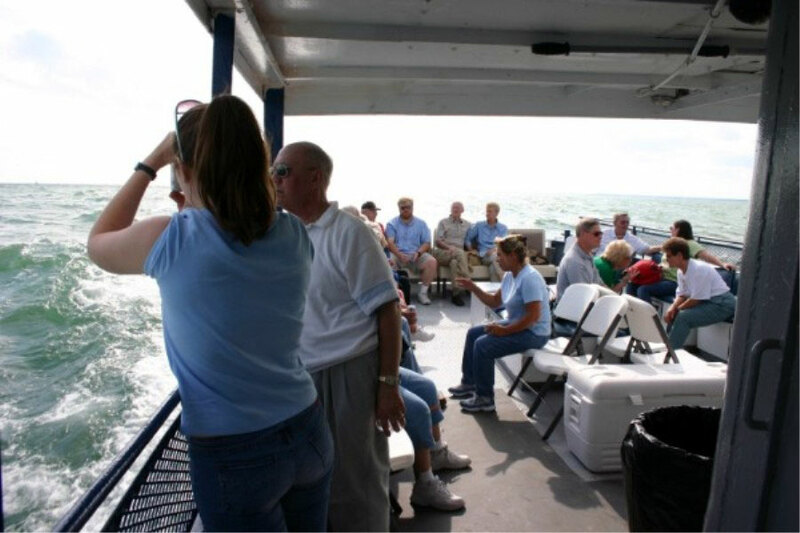 We do provide complimentary soft drinks and bottle water aboard the Northstar and at the Lighthouse. For more information or group rates, please contact us at: 989 254 7710.